يضمن فندق Hotel Urban Brisbane الذي رمم في 2008 لزائريه قضاء وقت ممتع في بريسبان، سواء جاؤوا في رحلة عمل أو سياحة. يقع مركز المدينة المثير على بعد 0.8 km فقط. بالنسبة لمن يريد الخروج، هذه بعض المعالم السياحية المتوفرة للزوار مستشفى بريسبين الخاص, مستشفى سانت أندروز التذكاري للحرب, The Windmill. 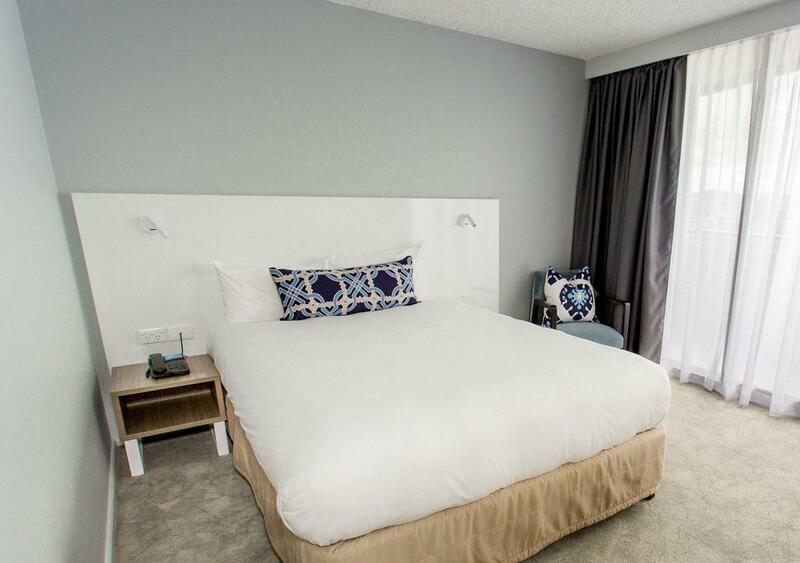 يقدم Hotel Urban Brisbane خدمات لا غبار عليها وكل أشكال اللياقة وحسن الضيافة اللازمة لإسعاد ضيوفه. يقدم هذا الفندق العديد من الخدمات الكفيلة بإرضاء أكثر الضيوف تطلباً. 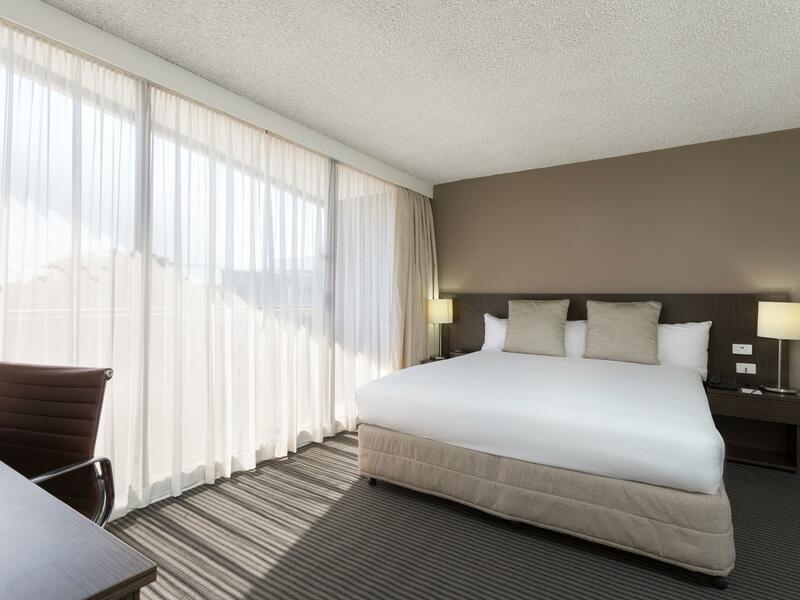 في Hotel Urban Brisbane غرف نوم يزيد عددها عن 179 صممت بذوق وعناية لتوفر لك كل وسائل الراحة . بعضها يحتوي أضاً على تلفزيون بشاشة مسطحة, سجاد, قهوة فورية مجانية, شاي مجاني, بياضات. إن حوض استحمام ساخن, مركز للياقة البدنية, حمام سباحة خارجي هو المكان الأمثل في الفندق للاسترخاء وتفريغ طاقتك بعد نهار طويل. يشكل Hotel Urban Brisbane بخدماته الراقية وموقعه الممتاز، قاعدة مثالية للاستمتاع بإقامتك في بريسبان. الطلبات الخاصة هي أمر خاضع للتوافر وقد ينطبق عليها رسوم إضافية. Its an older hotel though the bed is comfy, the carpark is very tricky to get in and out, though its a little far away from things and we probably won't stay again. Room was small-ish but well set out, plus there was a balcony with a great view. There's a major renovation on the way so looking forward to seeing the result. Staff very friendly. Carpark underneath convenient but a bit tight to negotiate. Dinner in the restaurant not so great. Hi David, Thank you for taking the time to provide your great feedback. If you have any particular feedback regarding the food please feel free to contact us directly. We're so glad you enjoyed your stay overall and look forward to welcoming you back to see our the result of our exciting renovations soon. Kind Regards, Pacific Brisbane Team. Attended a function in boardroom so stayed overnight. Bar downstairs very inviting for Friday afternoon drinks overlook Roma st Parklands. Live music was great and staff were really friendly. Bed comfortable. Only negative is the car park is a bit tricky to negotiate and would be difficult in large car. Hi Cathy, Thank you for taking the time to provide your feedback; we're so glad you enjoyed your stay, the function and the bar. We agree our parking can be a little tight, but most guests find it very convenient and accessible. We hope to see you again on your next trip to Brisbane. Kind Regards, Pacific Brisbane Team. Great location. Roma parklands over the road. Short walk to the mall, we walked to the casino and a nice walk to beautiful Southbank. Nice pool, good restaurant area and nice coffee. They have a laundry. 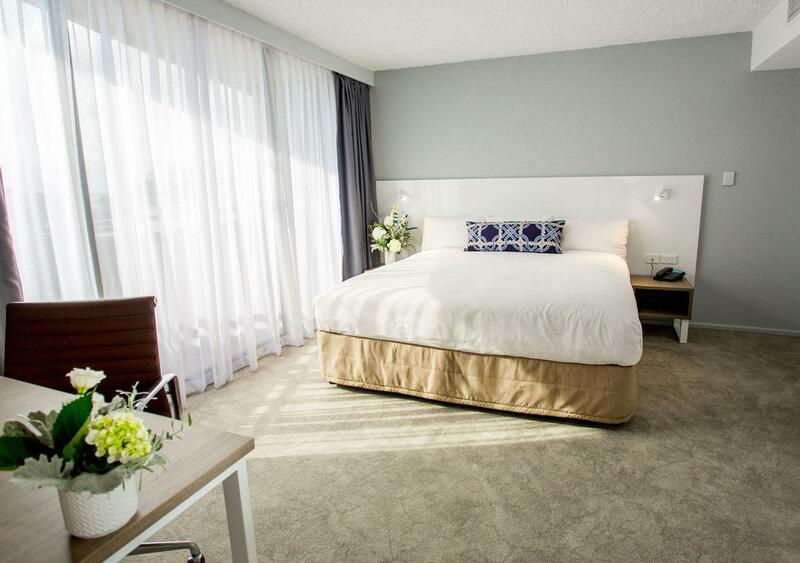 Nice room and comfy beds. Staff were all very nice. We would stay here again. After waiting a while for check in (3pm) we got our room (we were offered another room but it was not near the other party we were with) our room was nice. We were offered a free late check out. The pool area is good and it is a nice walk down to Queen Street Mall (not so nice coming back up the hill!). I would definitely stay again. We were surprised at the size of the room it was huge and the bed was so comfortable. it was very central to where we needed to be and the staff were amazing. The carpark is horrible but there is warning as you enter so we were prepared, the cost of parking was a bit of a rip though. the gym was well equipped. the food in the restaurant was good but expensive. we will be staying there again in the future it was great. Wonderful stay. Bed was huge and divine for a good night's sleep. Staff were friendly and excellent. Food was good, but possibly a bit on the expensive side. Nice, varied buffet breakfast. Greater range of juices would improve the buffet. The room was clean and comfortable. 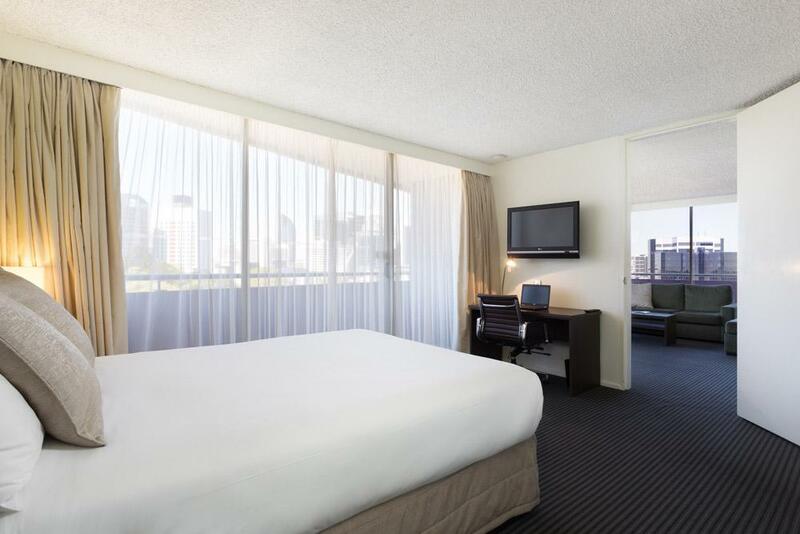 The hotel is located very close to Roma Street Station and Brisbane's city centre. It is also about a 10 minute walk to the Art gallery end of Southbank. The walk to Suncorp stadium is about 25-30 minutes or you can catch a train from Roma Street to Milton Station. The hotel is apparently 4 stars but I would probably call it 3 stars... maybe... The carpets felt dirty under your feet, the shower grout had mould all over, the quilt had stains and the curtains had stains/mould on them. The plus side was that the staff were lovely and the location is perfect... not sure if I would stay again though. I booked through Agoda and the booking was not quite correct, no fault of the Hotel, but Chris the Manager on duty was very helpful and friendly. He managed to get it all sorted with minimum fuss and no stress. Thanks Chris. lobby nice & bar, restaurant well equipped but step into the lifts and that’s where the nice ends. dirty corridors & lifts and room just okay. bathroom needing a bottle of bleach (after getting out of shower your feet get dirty from carpet and tiles and muddy areas in bathroom if floor still wet! beds comfortable. air conditioning enough to keep you awake unfortunately. carpark is the stuff of nightmares, I would never ever recommend taking a car bigger than a swift in there and it’s known to staff and maintenance how awful it is but no heads up ?! my checklist for a nice stay is a clean room and safe car park, both of which are a fail. won’t ever stay again. Booked with the expectation that there was a recreational pool. But was never told that the motel was undergoing renovations and that the pool was closed. We were very disappointed, we were belittled by the compensation offered of a $10 breakfast voucher. We won’t be coming back to this facility in a hurry. We had a bad memory in Urban hotel. The hair dry is damage dirty. And when we just get into the room I saw a small dead spider on the pillow. The light was not enough the room is too dark. And when we told the reception staff about those things. I can feel she is igniting to us from her reaction.. Especially when we asking about the car park information. We don't feel any enjoy or welcome on this hotel..
Hotel Urban is well located in Brisbane and great for a short stay in the city. The rooms are quite large and the beds amazingly comfortable. We checked in just before midnight, and the welcome was less than warm, with minimal conversation from the duty manager, hardly a smile and no directions to our room or offer to take our bags. I would recommend for the location for a short stay. We stopped at the hotel at eth last minute and were very happy with the rate, room and staff. Being an older hotel that has several refurbs the rooms are quiet and a good size. Not great if you want to be in the centre of town it was perfect for us as we had a car. I had a pleasant stay. A little out of the way but not a bad thing if you don't want to be right in the city. The bathroom was a bit cramped and the overall vibe of the hotel was nice but felt like they'd tried too hard renovating and revamping an old outdated building. I ordered the Haloumi burger from the gazebo restaurant and it was amazing! Internet was slow. The gym was small but a treadmill was all I needed so I was happy with that. All in all not bad - only stayed one night as we were attending a function in this hotel - we got the Lazy-Sleep-In package (12noon checkout) with breakfast however no one seemed to know this as housekeeping walked in around 11am & reception called us at 11:45am saying check out was at 11am. Then they also nearly charged us for breakfast till I reminded them it was included - no hassles once said, the people at reception were lovely about it. It is an older building, worn carpets in the room etc but clean and everything you expect is available in the room - the lobby & restaurant look nice and new, as were the bathrooms. For an older style building I was glad to find enough power points for all our devices! The usual continental breakfast spread (very nice muesli & yoghurt cups) with a choice of one item off the hot menu each and a Nespresso machine on hand. Off street parking was $15pn but proximity to Roma Street train station and the city in general means you can do without the car if you wanted.